I've been working my way through the ALSC Notable Nominee list and have read almost all of the picture books included. I recently finished two from the non fiction category and will be adding both to our Bailey Library collection. 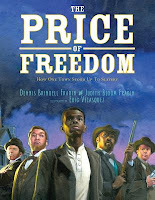 The first, The Price of Freedom: How One Town Stood Up to Slavery by Judith Bloom Fradin and Dennis Brindell Fradin has a special place because it is about a couple of Ohio towns that resisted the Fugitive Slave Law prior to the Civil War. Oberlin, OH was a safe haven for escaped slaves in the mid 1800s. Not only did they hide them from the slave catchers who wanted to send them back south, they accepted them as part of the city's culture. Escaped slaves were teachers, shopkeepers, farmers and preachers. In 1856 when a slave catcher came to town looking for slaves to capture and return for the bounty, the towns of Oberlin and Wellington, OH turned out to not only protect their neighbors, but also help one prisoner escape. The story of this event is told in vivid exciting language that puts the reader in the middle of the action. In the end, 37 men were charged and arrested for aiding in the escape of a slave. One of the men, William Lincoln was arrested in his classroom while teaching students, in, wait for it....Dublin, Ohio! I love when a book has a hometown connection and it always makes it an easier sell to students when part of the story is part of their own town's history. The illustrations by Eric Velasquez are detailed and enhance the story, making it easy for the reader to picture the events as they happened. The final picture is an actual photo of the arrested men standing outside the Cuyahoga County Jail. 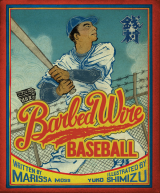 The second, Barbed Wire Baseball by Marissa Moss, is a fairly common theme about how baseball played an important role in helping Japanese Americans survive the internment camps of the 1940s. This one, however, stands out because it is about an individual who led the prisoners in a camp in Arizona to building an actual baseball stadium. Kenichi "Zeni" Zenimura was a ball player. He grew up with the game and even though he was barely 5 feet tall, he played along side the giants of the game like Babe Ruth and Lou Gehrig in exhibition games. He literally brought the game to a large part of the Japanese American population and introduced it in his native country. This is a wonderful story that not only teaches a sad piece of our country's history, but also lessons in perseverance and making the best of a horrible situation. Zeni Zenimura is a true American hero. The illustrations are by Yuko Zhimizu are fascinating. The texture and colors along with the style bring to mind old time baseball cards. I'm sure kids will love looking at them and seeing different things each time they do. For some reason I have a lot of students fascinated by Albert Einstein. I'm not sure why this is, it may be the popular picture of him with his tongue out and wild hair, but for whatever reason they love the guy. The little that I've read about him it seems he loved kids too and was quite child like in the way he loved jokes and laughter. Until now, though, finding a book about Albert Einstein that is as kid friendly as he was has been difficult. On a Beam of Light by Jennifer Berne portrays the great scientist in very human ways. The author spends several pages on his growing up and not speaking until he started school and his parents loved him just the same. When he finally did start to speak it was to ask endless and difficult questions of the teachers, they said he wouldn't amount to much and still his parents loved him. 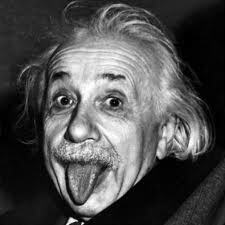 As Albert went through life it became obvious that he had a lot to say and it was all very important in the advancing of science and math and then, the world loved him. Jennifer Berne even manages to make his greatest discoveries, accessible to kids. The illustrator is Vladimir Radunsky whose pictures I love. 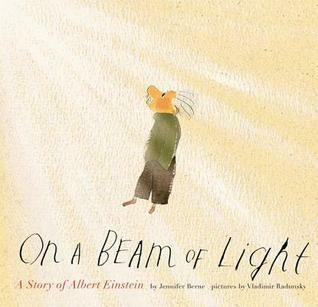 So simple yet so detailed and perfect for a book about Albert Einstein. With the push toward non-fiction, I can't wait to get the wonderful, short biography about a fascinating man into the hands of kids. While waiting for books from the ALSC Notable Nominee List to come in at the library, I pick up new titles on display. One of those just practically jumped off the shelf at me and once I started, I could not put it down. 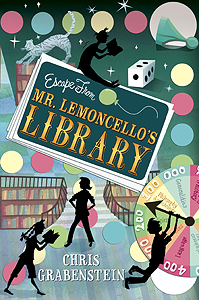 Escape From Mr. Lemoncello's Library by Chris Grabenstein will surely be a hit with kids and teachers. There isn't much to do in Alexandriaville, Ohio, so the Keely brothers play games. Their favorites are games made up by the famous game creator Mr. Lemoncello. The best game player in the family is Kyle, the middle brother. Not a jock like his older brother and not a brainiac like his younger brother, Kyle looks to winning games, all games, when playing against his brothers. The big news in town is the opening of the new library. Alexandria hasn't had a library for 12 years, now, thanks to contributions from Mr. Lemoncello, an Alexandriaville native, the town will have the biggest, most advanced library in the country. As part of the celebration there is an essay contest for all 12 year olds in the town. The best 12 essay writers will get the chance to go into the library early for a lock in and games. When the 12 are announced you have the girl who does nothing but read, the spoiled rich kid, the cheerleader popular girl and then Kyle and his regular kid friends. 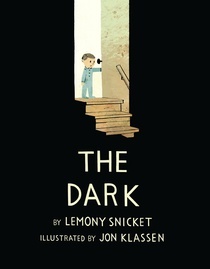 The story continues and the kids are treated to the night of their lives, first playing with all of the new gadgets and gizmos and then challenged to solve the mystery of the library in order to become spokes models for Mr. Lemoncello's company. The game involves solving puzzles that have to do with using the library, you know, like Dewey Decimal and stuff! The kids need to know authors and book titles as well as Alexandriaville history to be successful. I have to say, just when I thought I knew what would happen, Mr. Lemoncello and super librarian Dr. Yanina Zenchinko throw us a curve and story goes a whole new direction. Like I said, I couldn't put it down. I will be recommending this to all readers grades 3 - 5 and some better second graders. It is written at that many levels. I loved the similarities to Charlie and Chocolate Factory and the Winston Breen books. I also loved how Mr. Lemoncello sprinkled his conversations with the titles of books. Listening for these could be a focus activity for a teacher reading this to their class. This book needs to be on every teacher's shelf of read alouds. The first time I say Building Our House by Jonathan Bean I was at Cover to Cover, my favorite bookstore in Columbus, and my friend Beth had included it in a stack of things she told me I needed to see. Working my way through the stack, I gave it a look, but not the detailed look a great book like this deserves. As I work my way through the ALSC Notable Nominee List I'm re-reading some titles that deserve a second or even third look! Building Our House makes this list of "look again" titles. Based on real life events, told through the author's older sister's eyes, it takes the reader from an empty weedy field purchased from a farmer. After moving a trailer for temporary housing onto the property, the building begins. Step by step, the timber-frame house takes shape and 5 years of labor is condensed into a wonderful short story of hard work and family. The illustrations only add to the short text and make the story even more detailed. There will be a lot of uses for this title in the classroom. It's a how to book, it's a personal narrative and literary non-fiction. It will make a wonderful mentor text for a lot of writing. As I read through the ALSC Notable Book Nominee list, I've found some books that I really like but probably are written for a little older audience than the students I have. The beauty of this is that we have the best public library anywhere in our community. My students have easy access, a bike ride on beautiful bike paths, to a branch of the Columbus Metropolitan Library. Since I have to be fairly selective to stay in my budget, I can make recommendations of books that can't be found on our shelves but can be reserved at the "big library" as we call it at Bailey. One of those books is Better Nate Than Ever by Tim Federle. Nate Foster is a theater kid. He loves musicals and stage shows and dreams the Broadway dream of making it in New York City. The problem is, he is growing up in a suburb of Pittsburgh that doesn't really value the arts, in fact his school, like many is cutting funding and the performing arts are getting hit hard. In addition to standing out for his love of theater, Nate has an older brother who is the star athlete and everything else in their hometown. Nate is the brunt of every bully in town and tries to play it off with a laugh, but can only take it for so long. 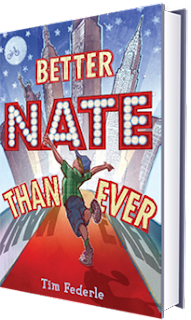 His best friend Libby transferred to his school from a school for the arts and the two of them work together to make Nate's dream come true. After practicing and working on his acting skills, Nate and Libby plan his secret get away to the Big Apple for a tryout. He is hoping for the role of Elliot in a stage production of E. T. Of course the trip doesn't go quite as smoothly as planned and through the ups and downs of making a dream come true we find out a lot more about Nate and his family. We learn that his mother and father are having marital troubles. Nate is actually rescued by an estranged aunt who also had the Broadway dreams that lives in New York and his star student athlete brother shows a chink in the armor discovered by Libby as she tries to cover for her friend back home. The author actually had a similar experience as a teen, running off to New York which is probably why the writing in this book is so strong and credible, a great example of writing what you know. I love this book for middle schoolers, boys and girls who feel like they don't quite fit. Even with its drama and sadness, there is laughter and hope that its ok to be different. The Matchbox Diary by Paul Fleischman made the picture book list of ALSC Notable Nominee list that I've been reading this summer and based on what I'm seeing from my Bailey colleagues, it has mad their list of most wanted for the 2013 - 14 school year. Many have already purchased their own copies, but rest assured friends, there will be a copy available in the library when school starts. 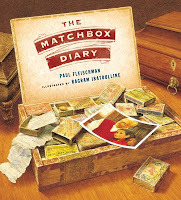 When a little girl visits her great grandfather for the first time she is introduced to his matchbox diary. As a little boy in Italy he was unable to read or write, but wanted to keep a diary. He began collecting matchboxes and putting items that sparked memories, an olive pit, a piece of pasta, a picture of his father. One by one as the boxes are opened, the little girl is introduced to her family's history and immigration story. The pictures by Bagram Ibatoulline reinforce the story by showing each item or memory. A wonderful, heartwarming story to be sure, but knowing my Bailey friends and the awesome teachers they are, I'm sure they have already come up with ideas on how to use this book to spark the creative writing process in their students. As I read the story, the ideas for writing and creating seemed endless. It might be tough to find so many matchboxes, but a photo collection could be made instead of their school year, similar to what Mary Lee at A Year of Reading does each month. Bring back show and tell and have the students bring in artifacts from their life, first write then talk about the items. An oldie but a goodie, have the students interview the oldest person in their families to learn the family history. I sort of feel like this one might be the most important to keep our kids in touch with their past. The list goes on, and I'm sure when I get back to school I'll see many examples of how this book is used in all grades. Add this to my Caldecott watch list. Next to my computer I have my "blog" stack, books I've read and plan on posting about. Until now, I've just been working my way to the bottom, until now. 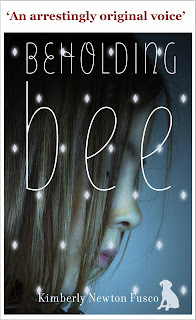 I just finished Beholding Bee by Kimberly Newton Fusco and I put it right on top of the stack. I found the title on the ALSC Notable Book Nominee list and had no idea what it was about. What a find. The author pulls the reader in from the beginning and doesn't let go until the very end. Bee is an orphan traveling with a carnival during World War II. Her parents were killed in a car accident and she is being taken care of by the young woman, Pauline, who runs the hot dog cart. Bee also works the cart, helping Pauline with the onion chopping and hot dog grilling. It doesn't sound like much of a life for an 11 year old, but Bee and Pauline make the best of it. Pauline doesn't see a way out of the life, Bee is ever hopeful that they will end up in a house and the traveling will stop. Bee is strong, not only does she have an incredibly difficult life, she has an unfortunate birthmark on her cheek shaped like a diamond. The fact that she is traveling with a carnival makes people think she is part of the sideshow and they talk about the mark in all sorts of negative hurtful ways. Bee copes by making sure her hair is hanging over her cheek, hiding from the mean folks who come to the carnival. 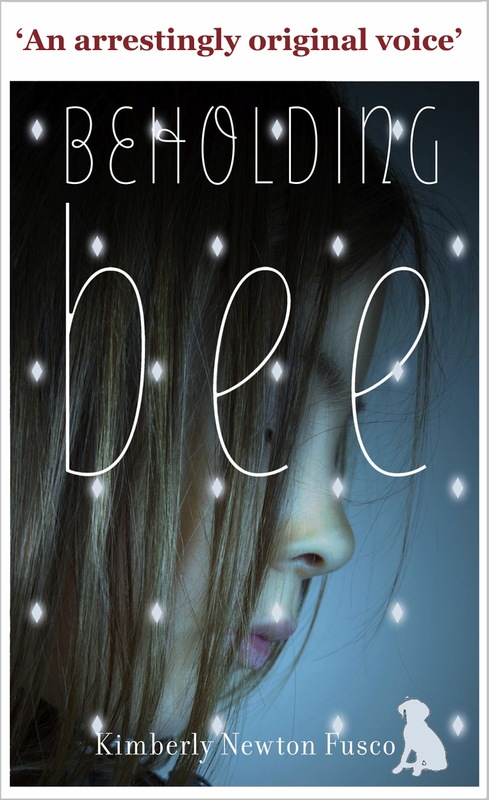 Kimberly Newton Fusco creates amazing characters that bring out all sides of Bee's character. The carnival owner, Ellis, who Bee says has snakes under his hat he is so mean. Ellis brings out Bee's strength. He sees her as a future sideshow gold mine, putting her in a booth and charging people to come stare at her birthmark. Bobby, the man who takes care of the pig races, shows us that Bee is wise beyond her years when it comes to judging people. She sees how Bobby really feels about Pauline when Pauline can't see past the pig smell. Bobby is Bee's biggest protector, teaching her to run so she can escape mean people and to spit, in case she can't. Bee is visited, when things get tough, by a lady in a floppy hat. Nobody else can see her and Pauline always gets angry with Bee for talking about an imaginary friend. As the story moves forward and Bee escapes from the carnival this lady is joined by another and Mrs. Swift and Mrs. Potter become Bee's care givers even though no one else can see them. Along the way Bee meets all sorts of folks, some who are mean, like most of the school staff when she enrolls herself and some that are wonderful, like her classmate Ruth Ann's mom. The book is written in short chapters that are only 1 to 3 pages long and even though it is 329 pages long it moves quickly. What an amazing book to behold! I will be recommending it to all of my 5th graders and some of my better 4th grade readers. The Newbery Club will for sure find it on one of their reading lists. Lemony Snicket and Jon Klassen have teamed up on a book that I'm sure will be a hit and fun to read in THE PIT. The Dark is about a boy and his fear of the dark. However, in Lemony Snicket style, there's twist. The Dark is an actual thing! It hides behind the shower curtain, in the closet, and at night it "goes out" spreading itself against the windows and doors. But these are just hiding places for The Dark. Everyone knows The Dark lives in the basement where Laszlo greets him each morning from the top of the stairs in order that The Dark won't come visit him in his room at night. One night the night light burns out and lo and behold, The Dark has come to visit Laszlo's room. In a fun twist, The Dark leads Laszlo on a quest to solve the problem and the story has a very satisfying ending. I won't lie, I haven't figured Lemony Snicket out yet. Kids love his stuff and that's good because that makes my job easy. I keep trying to love his stuff, but mostly it confuses me. This book however, I get and I like, A LOT! Throw in illustrations by Jon Klassen, one of my favorite illustrators and BAM! it's a winner. As I continue to work my way through the ALSC Notable Book Nominee list, I can report that I have now read 6 of the fiction titles, and all of the picture book titles. There have been a lot of good books that will be making their way into the Bailey library come August, and there was at least one of the fiction titles I didn't finish because I knew it wouldn't be making it's way into the Bailey library come August. Sometimes when I get 50 pages or so into a fiction title and it's clear that it's not written for an elementary audience I abandon it so I can move on to something that might be a future purchase. I know I miss out on a lot of great YA stuff, but I have to be efficient with my time. I hadn't read any of the informational picture books, so I was excited to see this list. As we all know, non-fiction reading will be our big push. 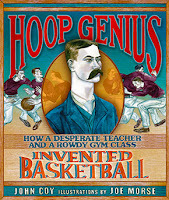 The first title on the list, Hoop Genius: How a Desperate Teacher and a Rowdy Gym Class Invented Basketball by John Coy really caught my attention. I'm a huge college basketball fan so I was eager to read the history of the game. I liked the simplicity of this book. The author does an outstanding job of cutting the story to just the facts. Told in short paragraphs on each page, the reader, and I think this book will be accessible to a wide age range, gets the story behind the only true American game. The story begins with James Naismith taking over a job that had been held by two PE teachers before him, but they just couldn't control the class. He had to find something similar to football, that wasn't as rough and could be played indoors. The author takes us through his trial and error period explaining quickly and in just enough words why each didn't work. Finally, we are walked through the thought process used by Naismith and the end product is basketball. The illustrations by Joe Morse are amazing. The colors and techniques reflect the time of the invention of basketball and the subject of the pictures enhance and further the story. It is because of the pictures that the author was able to use a minimum of words to tell the story. One of my favorite aspects of the book is how it shows the changes in the game. The original rules of basketball are published on the cover pages and I think kids familiar with the game will be interested to see how simple the game's rules were compared to what we watch today. The book will make a wonderful classroom addition to talk about change over time and make comparison charts. I like this book a lot and it's on my list of Caldecott hopefuls. If you've followed Literate Lives for any amount of time, you know that fantasy is not my genre of choice. I struggle with it and, unfortunately, I've probably failed a lot of students because I have a hard time with it. That's why it's good for me to use lists like the ALSC Notable Book Nominees. It forces me to read things out of my comfort zone. Jinx by Sage Blackwood...definitely out of my comfort zone. I'm ok when it comes to simple fantasy, the stories without a lot of strange characters and stories that don't get too complicated with dark powers and living powers and which are the most powerful power sources. Jinx is not simple fantasy. Jinx comes from the Urwald, a land of trees that is inhabited by all sorts of bad things like trolls, ogres and werewolves...oh my! If you stay on the path and don't wander off into the dark woods, you are protected by the truce of the path, nothing can attack you if you stay on the path. When his step parents decide they can no longer afford to keep him, Jinx is taken out with the plan of abandoning him in the woods. The plan is foiled by a wizard who takes him in and some trolls who run off with his step father. Jinx becomes the servant and apprentice to Simon, a wizard who may or may not be good. Simon is a bit of a mysterious character who seems to have a foot in two worlds, the world of magic and the world of his wife where magic is illegal. Jinx does some spying work and tries to figure it all out. After Simon uses Jinx for some experimental magic, Jinx realizes he must leave and explore what is beyond Simon's home and possibly beyond the Urwald. He starts out on his quest and meets up with two more characters who are cursed, Reven and Elfwyn. Reven is a real mystery man and can't answer any questions about his background. Elfwyn, on the other hand, is the daughter of a witch who must tell the truth when she is asked anything. They all end up in the home of the evil Bonemaster the most powerful wizard in the story. After a daring escape the three return home to Simon's and plan their next adventure which sets up the next book from the Urwald, Jinx's Magic coming in 2014. As I've said, I'm not a fantasy guy but a lot of kids are. This book is very well written, the language Sage Blackwood uses is magical, which is what you want in a fantasy story. It is also written at a level that will be accessible by my better fifth grade readers, but I'll caution them that they need to be serious fantasy readers. Yesterday, our youngest daughter began her first adult job. Waves of nostalgia washed over me as we negotiated this past weekend and the morning of her start day. She was so excited and enthusiastic, but I flashed back to the beginning of middle school and high school as time and time again, she shared that her biggest concern was having someone to sit with at lunch after her orientation session. Do those worries about fitting in ever leave us? She also fretted a great deal about having appropriate attire for work. The lady from human resources had shared they had business casual attire, so Carrie and I headed off to the mall last Friday to buy a few clothing staples that would mix and match to create many such outfits. But, even after a successful shopping trip with great new clothes, can you imagine this just-graduated-from-college girl's delight when she got an email from the company sharing that this entire week would be "jeans" week -- oh the joy!! Then, yesterday morning, the actual first day of the job, she requested a breakfast. She wanted me to make a fruit smoothie for her, which I was delighted to do. She even asked me to pack her lunch. Yes, I know she is 22 years old, and entirely capable of doing both of these tasks herself (after all, she will be living on her own in an apartment in the next month), but I wanted to do these things for her to ease any anxiety or worries she might have on her first day. 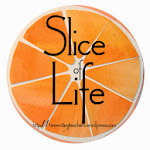 And since this is a day that mostly Slicers stop by, I wanted give you the link to my more personal blog - Karen's Thoughtful Wanderings. 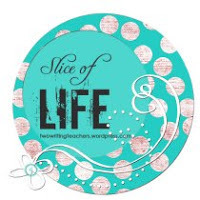 Other slices today can be found at Two Writing Teachers, Ruth and Stacey's blog, the blog that inspires us all to be here. Thanks so much to both of these wonderful women for providing us yet one more format in which to write! I hope they enjoy their July vacation!! So while I wait for my reserved books to come in, hopefully today, I picked up the book Twerp by Mark Goldblatt from the new fiction table. It turned out to be an awesome middle school book. Julian is a gifted student who shows a real talent for writing. He has a tight group of friends from his block in New York and, as good boys will do, they make some bad decisions. One of the decisions gets them suspended from school for a week and the story revolves around that incident even though we don't get the details until the very end. Julian's English teacher makes a deal with him. He allows him an alternative writing assignment instead of doing the Shakespeare thing like everyone else in class. The assignment turns into a look at life through a 6th grade boy's eyes. It is full of the things that boys go through from making bad decisions to impress their friends, to first girlfriends and dates, and the all important being the fastest kid in school. Julian has a gift for writing and his teacher Mr. Selkirk recognizes it. By assigning the journal, he allows Julian to look at his life and examine his values. In the end, when the assault on another student is revealed, the reader is left hopeful that Julian has discovered what it is that is important to him. Although the book is set in 1969, it could be anytime. The trials of a 6th grade boy trying to make his way and do the right thing while maintaining his cool easily transcend the decades. If I were teaching middle school I would definitely be recommending this book to my boys in the hopes that it might help them sort out some of the feelings they are going through at such a tough age.